The Deputy Opposition Leader, Sam Basil, is gravely concerned over the announcement that ‘the general order of the 2017 national elections is likely to be interrupted’. 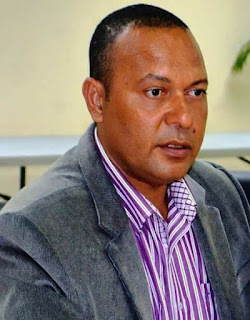 Basil questioned the role and official obligation of the PNG Electoral Commissioner Patilias Gamato in independently overseeing the success of general elections. “Mr Gamato must be able to explain his organisation’s original advice and submission to the National Executive Council (NEC) that has provided the inspiration for these major proposed changes to PNG’s election laws,” says Basil. Basil also cautioned media agencies to encourage sound and accurate reporting of current issues, such as all election-related matters, ahead of the issue of writs. The parliamentary leader of Pangu Pati and current sitting Member for Wau/Bulolo Open says he is alarmed over the timing of the proposed changes. The Deputy Opposition Leader cautions PNG citizens to be wary of the proposed amendments to election laws that will have the effect of influencing the rights and choices of voters and the outcome of the general elections.